Software program iSpionage is an advanced keyword research tool that enables keyword management and competition analysis. After a careful review of the full package (the program can be bought at different subscription levels), pay per click management company Webrageous has found it to be highly useful for pay per click advertisers. iSpionage displays the search volume and cost per click (CPC) for the keyword phrase that is entered into the program’s keyword research tool. Advertisers are then able to group and manage their keyword lists, checking that no two groups contain the same keyword. In order to choose the keywords with the most chance of success, you can also see which keywords relating to your search term are most frequently searched and how fierce the competition is. 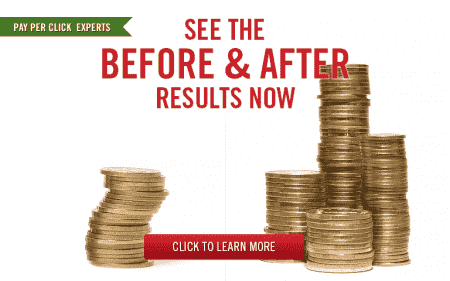 The program takes the hard work away from pay per click advertisers and managers. Rather than having to go through the trial and error of discovering which keywords are the most successful in your pay per click campaigns, iSpionage lays out that information for you. And it takes just a few seconds to do. By offering the CPC on keywords, pay per click advertisers can see how much a particular keyword is going to cost them. For any keyword phrase that you search, iSpionage provides literally hundreds of related phrases along with the search volume and competition for each. You can also type in various words and the tool will generate long tail keywords in broad, phrase and exact match combinations. Again, this is a great help for pay per click advertisers as it as a simple way of finding keywords that are related to the original idea that you might have. It saves your company time from having to sit down and go through all possible options that might be searched. It also shows in a clear list which of the related keyword terms are likely to have the most success in your pay per click campaign. One of the most useful features that iSpionage offers pay per click advertisers is the ability to check out the competition via a specific keyword or domain name. Pay per click advertisers can search a particular competitor’s website’s advertisements, keywords, Facebook and Twitter mentions, Whois data, estimated pay per click budget and click volume data, and landing pages, as well as their SEO traffic volume. The issue with pay per click advertising – now that it is so popular – is the competition on each keyword. By being able to research and monitor exactly what the competition is on a particular keyword, who your competition is and who you have the most chance of being able to beat, pay per click advertisers can make realistic bids. This may also help in focusing on which parts of a pay per click campaign need optimizing. iSpionage also allows pay per click advertisers to create advertisement groups. Advertisers can build pay per click campaigns using the keyword cleanup tool and keyword grouping functions. Once all the keywords are selected, you can create advertisement groups. These are also able to be exported to Microsoft Excel or the campaign builder. This is very useful for pay per click advertisers using pay per click providers such as Google AdWords. In fact, the keywords and list of suggestions that iSpionage generates through the research tool are based on Google’s API. The idea of pay per click advertising is to create keywords that are sorted into advertisement groups and iSpionage does this for you. As you can see from this overview of the software program, iSpionage is very useful for pay per click advertisers in setting up their pay per click campaigns. It not only provides the means to choose keywords and set up advertisement groups but it helps pay per click advertisers select those that are likely to offer the most success, allowing them to choose according to their pay per click advertising needs. For more information on the software program, see ispionage.com. Remember, Webrageous can manage advertisers’ pay per click campaigns, so if you want help monitoring campaigns, following reporting tools and looking out for click fraud after you’ve selected keywords, then contact us today.